Very spacious, clean, walking distance to everything, very convenient. Great views for sunrise and sunset and the port. Will choose here again when next time coming here. This was an apartment with separate bedroom and full kitchen with dining area. Extremely comfortable for our 5 night stay. Fairly close to the center of town. Nice view from upper floor. We arrived early and they were able to get us into the space before 3pm, which was great. There is an elevator to get to the 3rd floor, so we did not need to drag our heavy duffels upstairs. There were coffee filters in the kitchen as well as paper towels, etc. There is a very good wine bar located 3 blocks from here too. Location was good. Interior and kitchen were nice. Good bathroom. 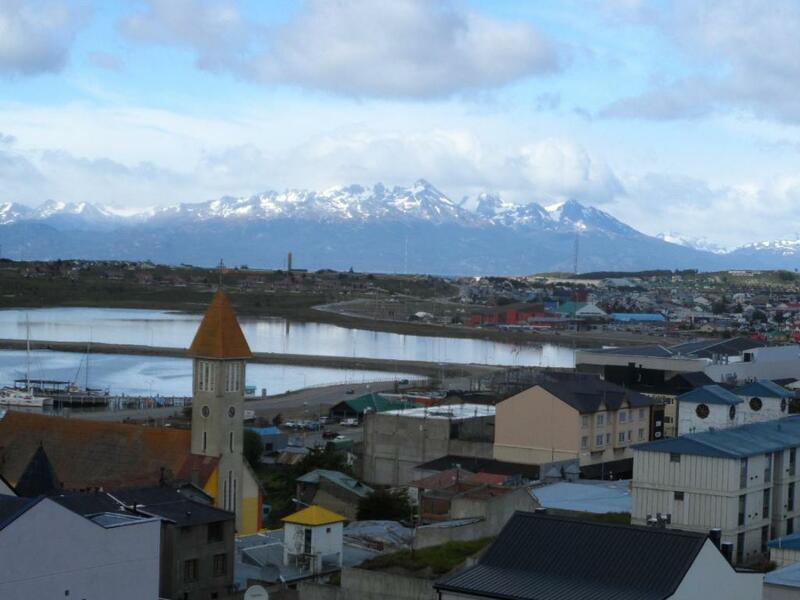 We were 4 adults traveling to Ushuaia and the space, the accommodations and the location was ideal. The place was spotless. We needed to check in early due and the management was very helpful and accomodating. 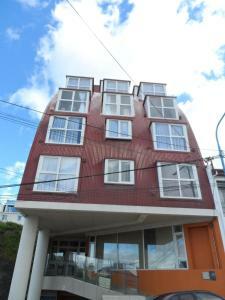 Very confortable apartment, clean and with all amenities. Close to main road, nice welcoming and tips. Spacious, comfortable, and view. It is one block from the Main Street, which offered many shops and restaurants. The managers did respond immediately to concerns. However, check below for Wi-Fi issues. Great location! Loved the fully equipped kitchen. Made preparing our own meals a breeze. Freddy was wonderful to deal with and he was more than happy to share information with us to ensure that our stay was most enjoyable. The unit was very clean and comfortable. Lock in a great price for La Vela – rated 8.8 by recent guests! One of our best sellers in Ushuaia! La Vela is a self-catering accommodations located in Ushuaia, only 1,300 feet from Casino Club Ushuaia and 2,950 feet from Encerrada Bay. Free WiFi access is available. Featuring scenic views of the sea and mountains, this fully furnished apartment is fitted with a well-equipped kitchen, a flat-screen cable TV and a complete bathroom. It also includes heating and towels. La Vela is 1,950 feet from Yamana Museum and 0.6 mi from Municipal Sports Center. The End of the World Train is 5 mi away. Free public parking is available at a location nearby. 뀐 Located in the top-rated area in Ushuaia, this property has an excellent location score of 9.3! When would you like to stay at La Vela? This apartment features views of the sea and mountains, a fully equipped kitchen and a complete bathroom. It also includes two single beds, a flat-screen cable TV and heating. Towels are provided. This studio apartment fits 2 people and features a cable TV, a sofa and views of the sea. This apartment has a toaster, sofa and microwave. It features views of a the property's patio. This apartment features a toaster, kitchenware and oven. Los departamentos La Vela ofrecen al visitante la comodidad de estar en pleno centro de la ciudad, ubicándose a una cuadra de la avenida principal San Martín y a 5 minutos a pie del puerto. Estamos a disposición del huésped para garantizarle una estadía agradable. En los alrededores de los departamentos La Vela se encuentran los principales sitios de interés de la ciudad de Ushuaia, ya sean bares, restaurantes, museos. House Rules La Vela takes special requests – add in the next step! La Vela accepts these cards and reserves the right to temporarily hold an amount prior to arrival. Note that the breakfast is served 350 feet from the property for an extra fee. Long stays will be have cleaning service included. Please inform La Vela of your expected arrival time in advance. You can use the Special Requests box when booking, or contact the property directly using the contact details in your confirmation. Please note that check-in and key collection take place at: Gobernador Paz 868, Ushuaia 9410. You had to check in & out at a Hotel 1 street above the apartment which was a big hill to try and drag your suitcase up. It was very noisy. It was a lovely apartment with plenty of room. The boiler was constantly on and noisy so you need to have ear plugs if you want a decent nights sleep. Also the floor is tiled so very cold if you want to walk around bare feet or in socks (i don't like keeping my shoes on indoors). Would definitely recommend bringing a pair of slippers. Lovely, big apartment near main street. It was clean, cosy and felt like a home away from home. Keys were collected from a nearby hotel, which was just around the block. Very clean and spacious with everything you needed. Also great location close to town. Only one bathroom in the apartment, so have to wait for your turn. Also the cook top is too small with only two elements so have to wait for your turn too. The only downside to our stay was that it is located across the street from a beauty salon which had very loud music that was played until 10:30-11pm....fortunately, the music choice was OK, but the bass was not too pleasant. Furniture a bit worn. Sharper knives would be useful. Location - just a block above the main street. Modern apartment, good views. Comfortable space and facilities.